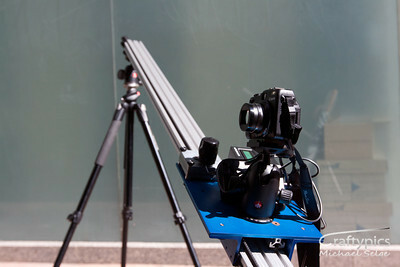 One of the issues with doing timelapse with a DSLR is the wear and tear on the shutter. If your final output is at say 25 frames per second, then you need 100 images to get 4 seconds of footage or to be more sensible 1000 images to get 40 seconds. Now remember that the shutter on a typical DSLR is rated at between 75,000 and 150,000 actuations depending on model. This is the MTBF ( mean time before failure ) so you might get less, you may get more. To replace a Shutter is in the order of $400 so you can see where I am going hopefully. Using a DSLR for timelapse can be an expensive exercise so unless its essential you may want to consider what equipment you use. For Night timelapses you really don’t have many options as nothing beats a decent DSLR such as a Canon 5D for low noise at long exposures. But what about daytime shots ? I recently purchased a Canon G12 for just this reason. It has manual Controls and most importantly it shoots RAW format. This high end P&S camera is mirrorless so there is no shutter being worn out. There is an inbuilt miniature function in the camera itself that does a fake Tilt Shift video similar to that used by time lapse animators such as Keith Loutit but it has limitations and lots of them. You select miniature Video mode, you select a band that will remain in focus and you then select whether to run at 5x, 10x or 20x speedup. It effectively records a video with missing frames and blurs the area above/below the band you select. The resultant file is a MOV file that you can play straight out of the camera. Impressive for what it is, it’s no match for REAL Tilt Shift or even normal timelapse then applying fake Tilt shift in Photoshop however I’m sure its sufficient for some of you that dont want to get too technical. What I wanted to do is traditional Time lapse with the G12 mounted on my Motion Timelapse Rig ( Dynamic perceptions with an MX2 Dolly Engine ). First issue I had was the G12 has a 2.5mm TRS connection for the remote release and the cable for my DLSR is one of the Canon propietary ones. I have ordered a 2.5mm to 2.5mm TRS cable, but it hasnt arrived yet so what to do ? I mounted the G12 on the timelapse Rig but there was no communication between the camera and the Dolly so there were times that the camera was taking a shot as the Dolly was moving. Not ideal but since I was shooting at 1/160 of a second it didn’t matter too much. When you use your SD card if you just turn on your camera it will complain that there is not enough space to save any images as it will have booted off the 2 meg partition. You need to turn the camera on using the PLAY button then select firmware update and run the CHDK firmware and then load the intervalometer Script. For the video I tested this with I set the interval to 1 second. To get maximum battery life I framed the camera Set the script running and then turned off the LCD screen. I managed to get over 1000 shots and the battery was still going although I doubt it would have lasted much longer. The next problem comes from when you want to use the images. You need to load up SDM again and change the active partition back to the large FAT32 partition to be able to see your images. I imported them into Lightroom, but yet another issue. LRtimelpase doesn’t seem to like RAW files from the G12 so I couldn’t run any Deflickering. Thankfully there wasnt much to start with but hopefully someone will find a way for that to work. I exported the images to a MOV file in Lightroom using the LRtimelapse Video templates at 25FPS TL then combined the 4 seperate movie files along with some still images into WLMM ( Windows Live Movie Maker ). WLMM is fairly basic and cant do half the stuff I can do with Adobe Premiere CS4 which I also have but for quick results it does the job. Thank You! I was just trying to figure out how to get my G12 to take good time lapse images and your article was invaluable. Much appreciated.